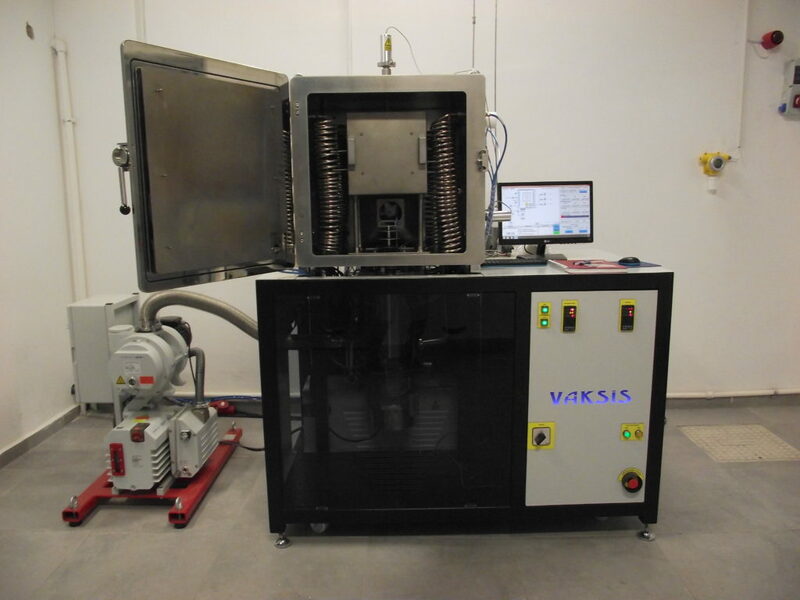 Archer’s Technicoat VA0204 CVD System is a fully automatic and compact laboratory design chemical vapor deposition system that is used for aluminide coating researches. The machine and process control system is based upon an Omron PLC for all digital, control, and analog functions. Certain safety requirements are hard-wired into the PLC ensuring maximum security. Fail-Safe shutdown scenarios are programmed into the PLC in the event of system failures such as power failures, cooling water outages, loss of compressed air, supply gas failure, and gas leak detection. Coatings are applied in a hot-wall vertical tube furnace (1200 ˚C max.) or a hot-wall horizontal tube furnace (1500 C max.). System consist of two different external chlorination generator can be used for aluminum deposition or alloying – reactive element co-deposition. In addition, internal graphite trays can be used for metal addition by way of evaporating their chlorides. Hydrogen Chloride (HCl) gas is used to form metal chlorides at external generator and products are carried to coating retort by Argon as a carrier gas. Aluminizing process can be operated in a pressure between 20 – 200 mbar. 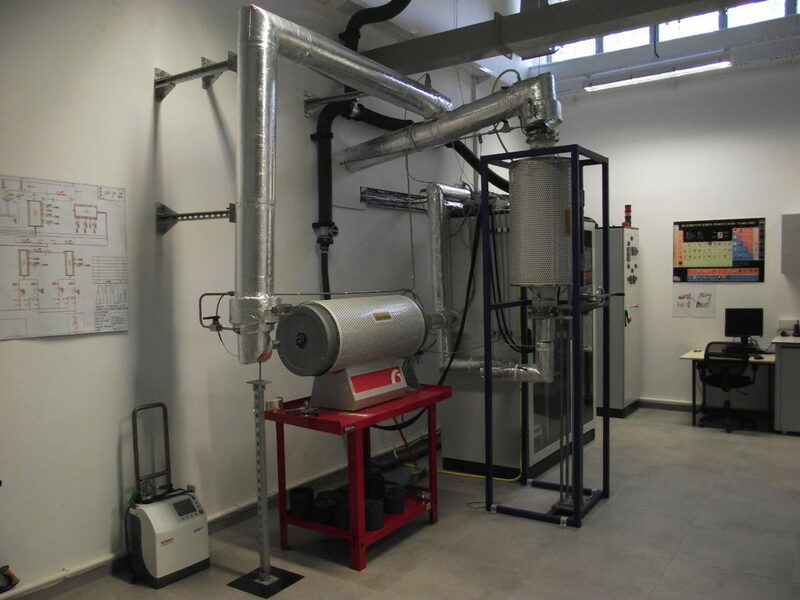 In MiDAS HT Furnace-100 system, heat treatment is carried out in furnace chamber under vacuum atmosphere. The furnace is made of stainless steel (SAE304) having dimensions of 60 cm x 60 cm x 60 cm. There are 3 different vacuum pumps all of which are mechanic, root and diffusion pump. The level of vacuum is below 10 -5 Torr. Heating is done in an enclosed chamber placed in the middle of furnace chamber. The heaters are Lanthanum doped Molybdenum wires . The substrate is placed on sample holder and it is elevated up to the heating champer.Maximum operation temperature is 1315 0 C. The cooling of chamber is made by stainless water channels having water flow inside. The cooling of substrate in the chamber can be made by furnace cooling, air cooling or accelerated argon cooling. Also, nitrogen or oxygen may be fed into the system if desired.